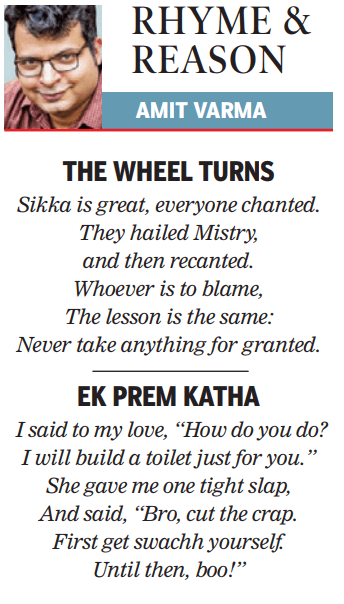 This is the 47th installment of Rhyme and Reason, my weekly set of limericks for the Sunday Times of India edit page. Sikka is great, everyone chanted. They hailed Mistry, and then recanted. I said to my love, “How do you do? And said, “Bro, cut the crap.